If your order weighs less than 13 ounces, save huge on shipping with USPS first class (with tracking number). This product weighs 4.4 oz. Nature’s Sunshine Conjugated Linoleic Acid (CLA) supports healthy weight management by maintaining lean muscle tissue health and helping the body burn fat. 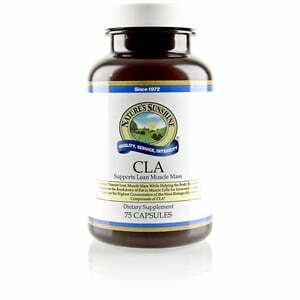 Additionally, CLA, a patented fat-reducing ingredient, helps balance normal cholesterol levels and boosts the immune system. CLA is an essential fatty acid important to many bodily functions. 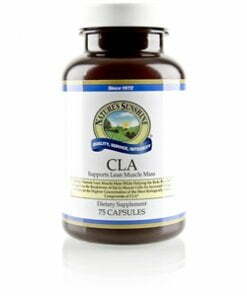 Nature’s Sunshine patented CLA formula is made from high quality ingredients. A CLA softgell contains 750 mg CLA blended with a safflower oil base. Safflower oil, gelatin, glycerin, natural carmel color (for light resistance), and water.